After a decade in the North Loop, Circa Gallery puts on one last show before moving online and into the future. Circa Gallery is saying goodbye to its North Loop location, the latest arts space casualty in a seemingly endless rise of rental costs in Minneapolis. 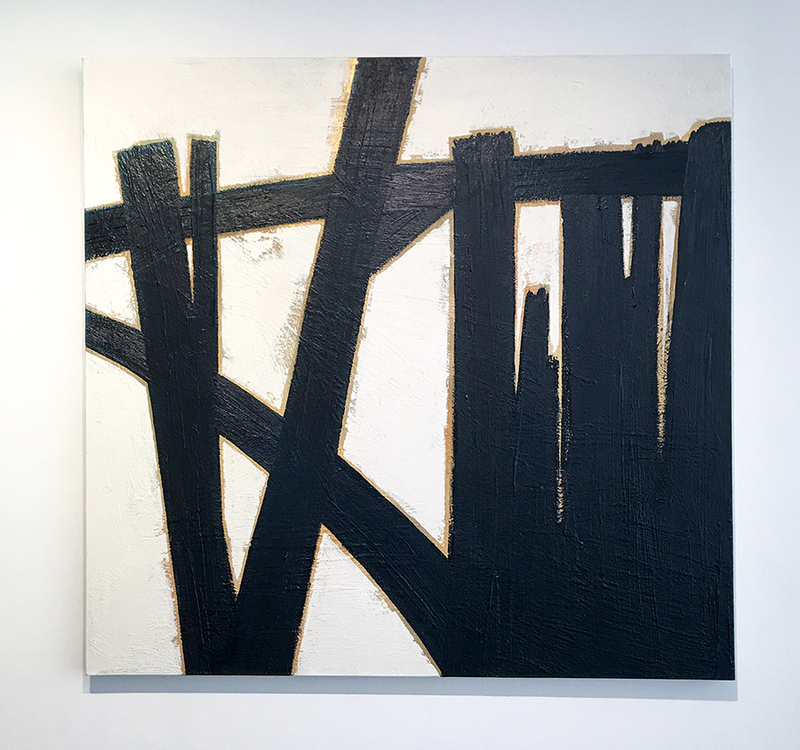 Currently showing Summer Salon II—their last exhibition in their current space—the gallery will go online-only temporarily until a new space is secured, according to new gallery director Krista Anderson-Larson. The gallery is nearly 30 years old, and has spent the last 10 in the North Loop. The spacious gallery—2800 square feet—will be turned into a Cooks of Crocus Hill, which sells cookery products and offers cooking classes. Circa, meanwhile, is on the hunt for a suitable space somewhere in Minneapolis. Summer Salon II installation view. Foreground: Ann Ledy, Inspiratio. Background at left: Margaret Fitzgerald, Words by the River. Photo by Sheila Regan. Right now, Anderson-Larson said the gallery is looking at a lot of bottom retail floors of the many new condos going up. They also hope to find a commercial area, rather than a neighborhood. “We need other retail or restaurants,” she says. “I know there are plenty of galleries that are in the middle of neighborhoods that are doing well in the Twin Cities, but they are more nonprofits than commercial spaces.” She added that they hope to find someplace close to other galleries to have camaraderie, and also because that way visitors can come to more than one gallery in a single visit. Anderson-Larson started as an assistant with the gallery in February of 2017. “I was in the assistant role when all this change came about with losing our lease and looking for a new space,” she says. The gallery’s former director, Teresa Engeltjes, was offered a job she couldn’t refuse, while Anderson-Larson stepped into the director role just a few weeks ago. Since then, she’s been running the day-to-day operations of the gallery solo, while keeping an eye out for suitable spaces in tandem with the gallery’s owner, who prefers to keep a low profile. The gallery has also ventured at times outside of its mostly commercial feel. One memorable show was Ken Steinbach’s Under the Rose, which featured found object installations that ended up winning the Circa artist a national prize. Anderson-Larson says she foresees continuing to support Circa artists’ experimentations within their practice. 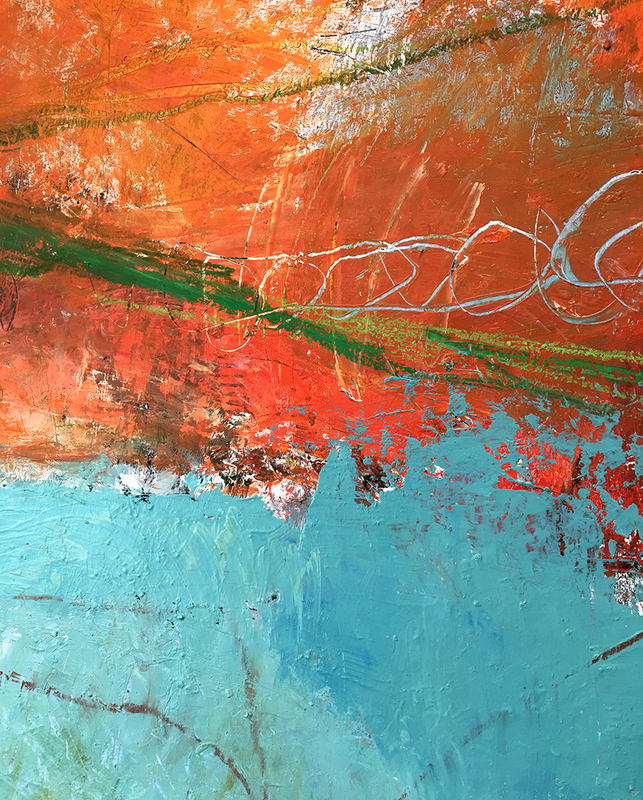 For example, Circa artist Lindsy Halleckson has been playing with ideas of sound and built environments for her paintings. “That’s something we will be looking to exhibit in the future,” Anderson-Larson says. In the Summer Salon II show, Stack shows an ink painting and an ink painting collage from her Fluere and Flux series. 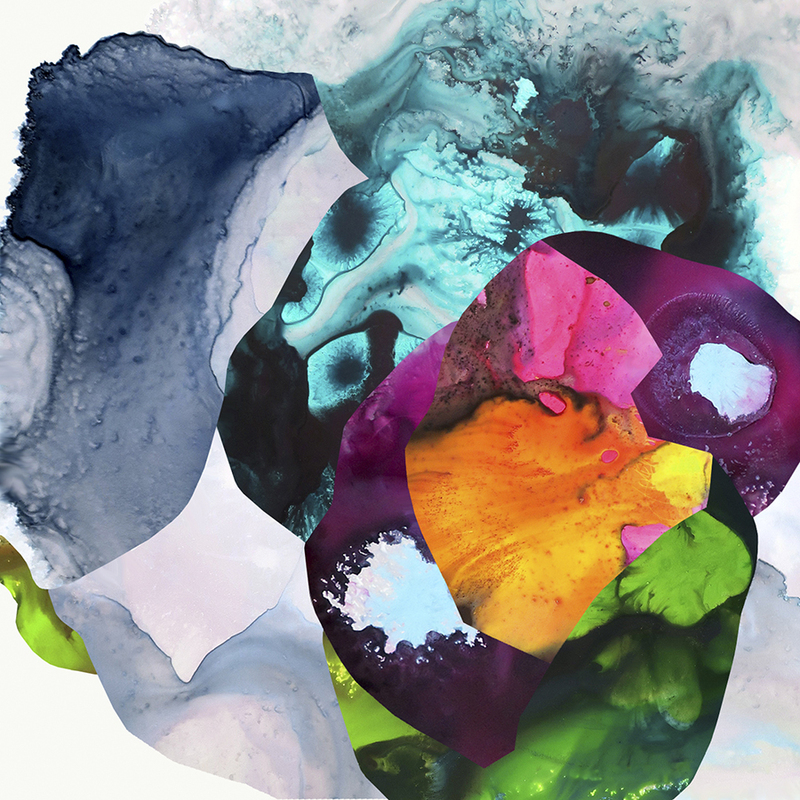 Shown together, the two pieces have an amorphous quality, with colorful forms that look something akin to biological material oozing amidst more synthetic shapes. The result is a kind of hybrid between natural and human-made that has a lot of motion and vitality. Other standout works in the show are Benjamin Cobb’s glass sculptures, which have transparent peep-holes amidst the colored shapes, as well as Barbara Kreft’s absorbing painting, Neighborhood, which nods to satellite imagery in its overhead view of a bustling residential area, rendered with an illustrative quality. There are some nice pairings in the show as well. 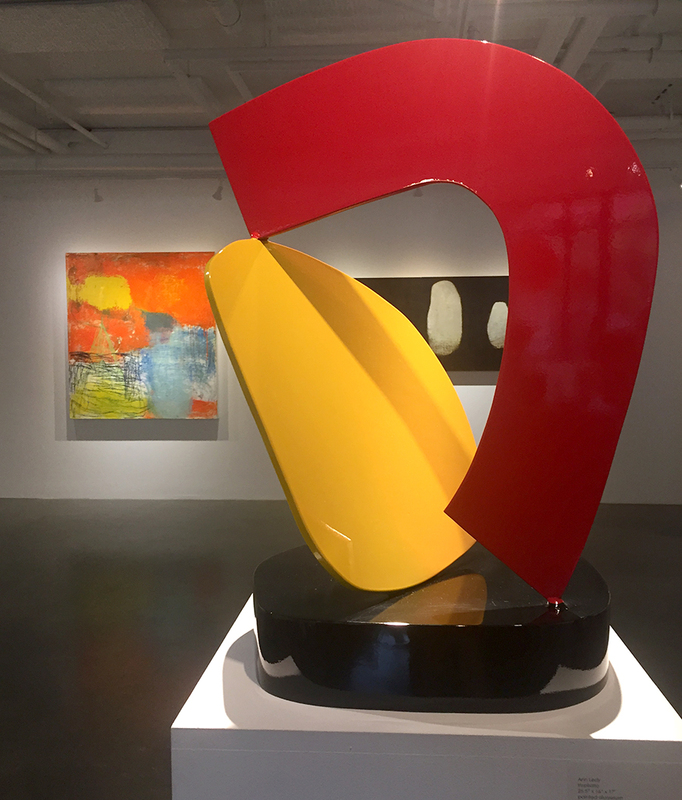 Two of Ann Ledy’s bright abstract sculptures, for instance, have a nice symbiosis with Margaret Fitzgerald’s scratchy, crayon-like oil pieces. Myke Reilly’s sand-on-canvas Kromera also adds a ghostly element to the show, while Carmen Vetter’s kiln-formed glass works offer lovely texture. 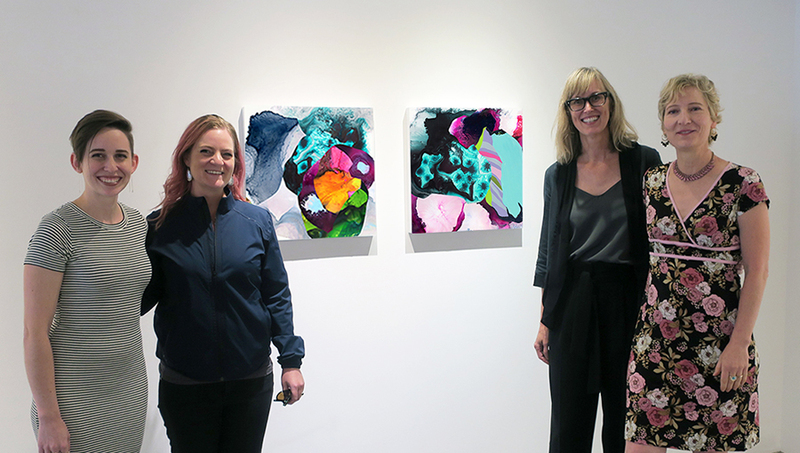 Left to right: Gallery Director Krista Anderson-Larson, Circa artist Lindsy Halleckson, former director Teresa Engeltjes, & Circa artist Laura Stack in front of Fleure 28 and Synbio 2 by Laura Stack. Photo by Sheila Regan. 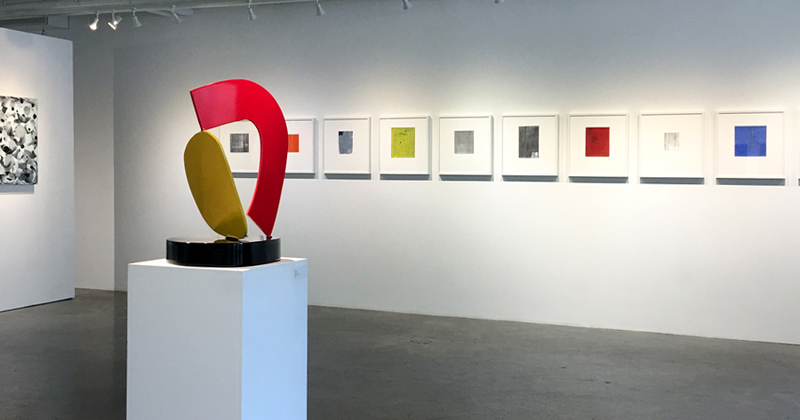 Summer Salon II is on view through August 18th. Gallery hours are Tuesday – Friday 1-6pm & Saturday and Sunday 11am-4pm. For more info on Circa and their artists, visit their website. Images courtesy Circa Gallery unless otherwise noted.